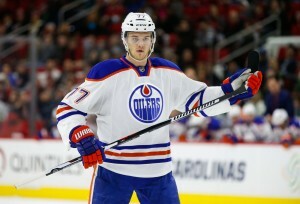 Defensive Depth a Difference Maker for the Oilers? One of the biggest changes to the Edmonton Oilers roster this summer was the trade that saw left-winger Taylor Hall leave the team and usher in former New Jersey Devil and stay-at-home defenseman Adam Larsson. It was one of the most significant decisions to affect the Oilers in years and triggered a new direction for a franchise that historically is among the NHL-worst in goals-against. However, finding a new top-pair, right-handed defenseman wasn’t the end of the blue line story for Edmonton. Shortly thereafter, the Oilers started making more changes to their defense. Edmonton signed college free agent Matthew Benning, invited and accepted Eric Gryba on a PTO and are rumored to be in discussion with free agent Kris Russell. The Oilers are deeper this year on defense than they’ve been in quite some time. Yet, this depth appears to be only the beginning of changes being made by Oilers GM Peter Chiarelli. Chiarelli has been active in the market trying to improve a clear weakness on the team, and while he hasn’t necessarily landed that “big fish” that would alter the entire look of the blue line, he is going after pieces that could solidify the defense and make the Oilers an all-around better defensive team. Should the Oilers land Russell and/or should Gryba win back a position on the defensive depth chart in Edmonton, what will the Oilers blue line look like in 2016-17? If the Oilers add Gryba after his PTO, it makes sense that the top-six on defense would stay the same and Gryba would slide in at the seven slot. He adds veteran experience, an ability to play as an NHL regular in the bottom-pair if called upon and has a physical style of play that bodes well in a tougher Pacific Division. More importantly, Gryba is a right-handed defenseman which gives the Oilers options. Taking a look at their depth chart, currently both Sekera and Oesterle are out of position. Fayne and Larsson are the only true right-shooters on the roster and adding Gryba gives the Oilers a position player who can play active and reliable minutes. Ideally, if the Oilers are looking to give Gryba significant minutes, it would be on the third-pair with a player like Davidson. This scenario puts Sekera back on his strong side, moves Fayne up to the second-pair alongside Sekera and places Gryba with Davidson in a more sheltered but dependable role. In 2015-16, and in 5-on-5 situations, Gryba and Davidson played over 283 minutes together and in that time, managed a combined 54% Corsi. While Gryba isn’t a power play specialist, Davidson would still see some additional time on the man-advantage where he has a cannon of a shot and could contribute on offense. Kris Russell circling back to a group of about six teams now, Oilers are one of them but no more of a front runner than the others for now. Kris Russell is weighing his options. One of those options is the Edmonton Oilers. 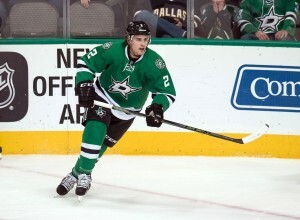 The former Calgary Flame and Dallas Star, Russell, would work in Edmonton if the stars (no pun intended) align. Russell is not a long-term solution for Edmonton, but he could be a specialist who provides some potentially needed offense on the power play and time on the penalty kill. If Russell signs, this 2016-17 defense roster would be the deepest it’s been since 2006 (the year the Oilers went to the Stanley Cup Finals). Edmonton would arguably have a legit top-pairing, second-pairing and experienced third-pairing tandem with experience to spare. The team could navigate through injury, be selective in their deployment of players and find combinations that work. They’d also have the luxury of starting Darnell Nurse and Griffin Reinhart in the AHL for additional seasoning. 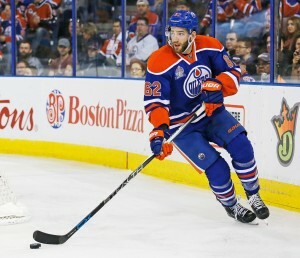 Should the Oilers sign Russell and Gryba, Edmonton will have to juggle their defense, often moving defensemen in and out of certain roles as the situation dictates. That said, it’s the type of juggling a coach like Todd McClellan would relish. In other words, it’s a good problem to have.